After a torrid few months hosting Yael Farber’s Salome and DC Moore’s Common, the Olivier is crying out for a hit. Its autumn offerings start with a bang, with Rory Mallarkey’s Saint George and the Dragon opening on October 11, after Dominic Cooke’s highly anticipated revival of Stephen Sondheim and James Goldman’s 1971 Tony-winning musical Follies. For a musical as fabled as Follies, it’s been a long time coming. British audiences haven’t been treated to a full-scale London run since 1987, when Cameron Mackintosh’s production, under Mike Ockrent’s direction, scooped up the Olivier for best musical. Cooke’s concoction has all the right ingredients – a hefty budget for designer Vicki Mortimer, a classic score for musical director Nigel Lilley, a vast stage for choreographer Bill Deamer, and a star-laden cast featuring Olivier winners Janie Dee and Imelda Staunton, the latter making her first musical appearance since Gypsy. But will Follies live up to the hysterical hype surrounding it? Will Sondheim’s songs still stir 46 years later? Will Cooke, who’s never directed a musical before, provide Rufus Norris with a precious Olivier hit? Sondheim’s story is set on the dusty, derelict stage of an old Broadway theatre. The cast of an inter-war revue Weismann’s Follies – read the real-life Ziegfeld’s Follies – reunites on the eve of the theatre’s demolition to reminisce and rekindle old flames, dogged by ghosts from the past. It is famously wobbly in structure, more pastiche-stuffed paean than plot, but widely loved nonetheless. 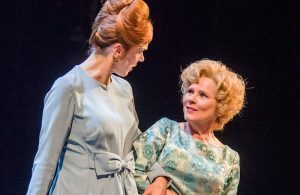 Does Cooke’s interval-less revival realise Follies’ faded glory? Andrzej Lukowski (Time Out, ★★★★★) agrees, calling the show “a perfect, devastating evocation of the pain of looking back”, while Henry Hitchings (Evening Standard, ★★★★) labels it “a genuinely fascinating study of the dangers of nostalgia”. 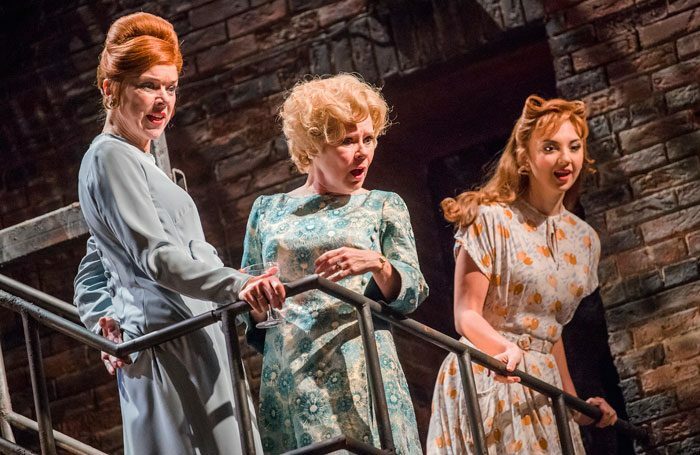 Follies stands the test of time, then, and Cooke’s production packs a powerful punch. Do Mortimer’s design, Deamer’s choreography, and Lilley’s musical direction similarly impress? And these sentiments are matched all round, almost. David Nice (The Arts Desk, ★★★★★) recalls that “you leave giddy with the richness and complexity of it all” and Ann Treneman (Times, ★★★★) labels Follies “a beguiling mix of extravaganza and emotion”. “The audacious final sequence, in which the four leads’ final fates are revealed in a phantasmagoric revue show, is as overwhelmingly opulent as you could hope for, a whirl of sumptuous pastel outfits, spectacular dancing and astringent song,” describes Lukowski. It’s only Quentin Letts (Daily Mail, ★★★★) and Libby Purves (TheatreCat, ★★★★) that air minor gripes, Letts bemoaning a “lack of narrative drive” and Purves, although praising “a grand entertaining evening”, confessing that “the eyes stay dry”. Follies – Who’s That Woman? Alongside Staunton and Dee are Philip Quast and Peter Forbes, plus a supporting cast 33-performers strong. And, apparently, they’re all excellent – “sensational”, according to Marianka Swain (Broadway World, ★★★★★) and “note-perfect”, according to Nice. There’s heaps of praise for Dee – “pure class, with breathtaking timing on her acidic delivery”, says Mark Shenton (London Theatre, ★★★★★) – for Quast, who Bano reckons “must have one of the best voices in the world”, and for cast members Josephine Barstow and Tracie Bennett. But Staunton is the star of this ensemble, this “iron-strong cast of female performers”, as Saville puts it. She’s “unforgettable” for Billington, “dazzling” for Bano, “spectacular” for Saville, and “simply heartbreaking” for Hemming. 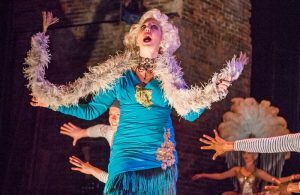 Follies – Is it any good? Yep, it’s good. Norris has his sell-out Broadway blockbuster, and the blunders of this summer have been washed away in a cavalcade of five-star reviews. Cooke’s production gets the full house from The Stage, the Guardian, the Telegraph, Time Out, the Independent and more, and four stars from everyone else. 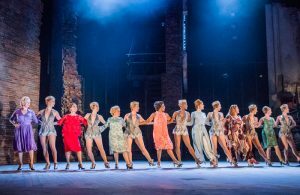 Staunton sparkles at the head of a knockout cast, Cooke constructs a beautiful, bittersweet evening, and after three decades Sondheim’s Follies returns to the London stage in triumph.